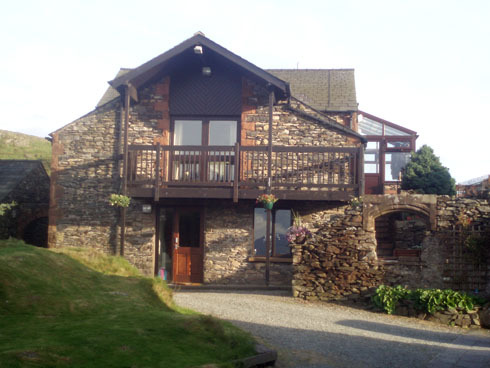 Yan is a three bedroom, two bathroom luxury furnished holiday cottage near Coniston in the Lake District. 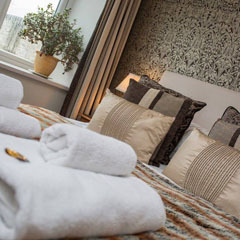 It has been imaginatively designed to ensure your holiday is relaxing and memorable. Yan occupies the lower level of the barn conversion. Yan lacks for nothing. It's a lovely cottage with fabulous scenery. A real treasure!! We would recommend. 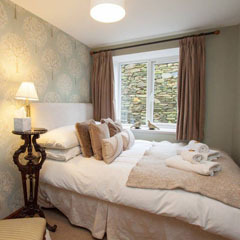 The master double bedroom is luxuriously furnished in a contemporary style. Benefiting from double window outlook, built-in wardrobe and an en suite bathroom with large shower bath. 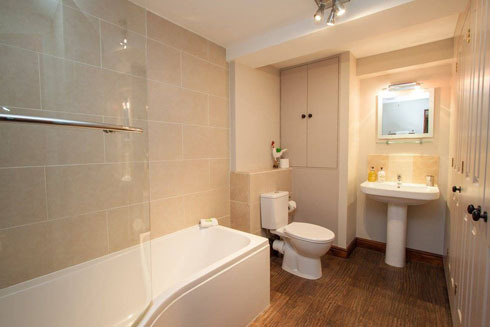 There is also a heated towel rail and storage. 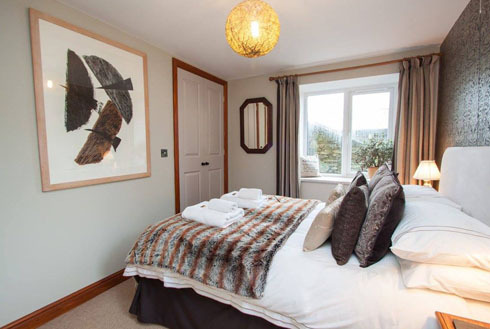 Yan’s second double bedroom is fresh yet elegant and has coordinating furnishings complete with built in wardrobe. A further light and airy bedroom has adult size bunk beds, chest of drawers storage and hanging space. Yan’s living room boasts beautiful, sylish decor throughout. The contemporary open plan design links the kitchen and living space. 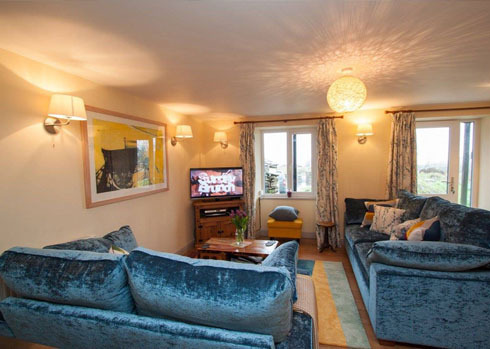 This spacious lounge area has two deep sofas, a television with Sky channels, a DVD and CD player, and an IPOD dock. 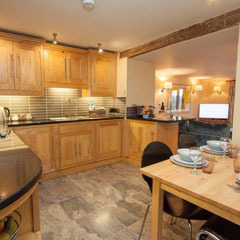 A bold and striking polished stone island links this area to the hand-made solid wood and granite kitchen, which is equipped with a dishwasher, electric oven, ceramic hob, washing machine, microwave, fridge/freezer, dining table and all the required kitchen implements. The master bedroom has an ensuite bathroom. 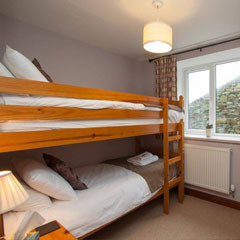 The double and bunk room share a shower room with heated towel rail and toilet. The private BBQ veranda has seating for six and there is a private garden area. A dry stone out building provides additional space – perhaps for your bikes. Electricity, central heating and hot water are included within the price, along with essentials (e.g. dishwasher tablets, cleaning items, toilet rolls etc); Sky television (Full package with movies and sports): duvets, pillows and linen and towels. Fantastic property, fantastic location, fantastic welcome and attention from the owners - what more can I say? The barn exceeded the description and my expectations. I was a little worried that animals were allowed - I don't usually look twice at properties that allow pets, but this looked so nice - and wouldn't know an animal had ever been in the property.